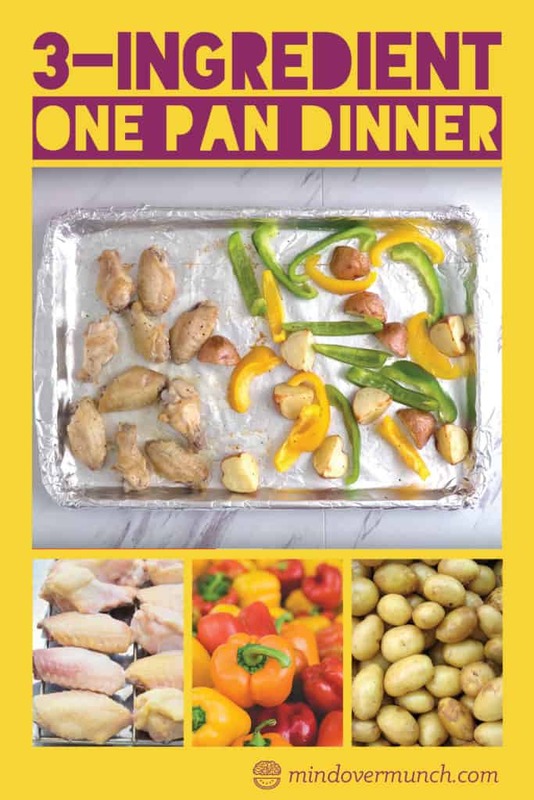 3-Ingredient Sheet Pan Dinner: One Pan Baked Chicken Wings with Potatoes & Peppers! Chicken wings from a restaurant or grocery store are generally deep-fried, so we often don’t think of them as a healthy dinner choice. 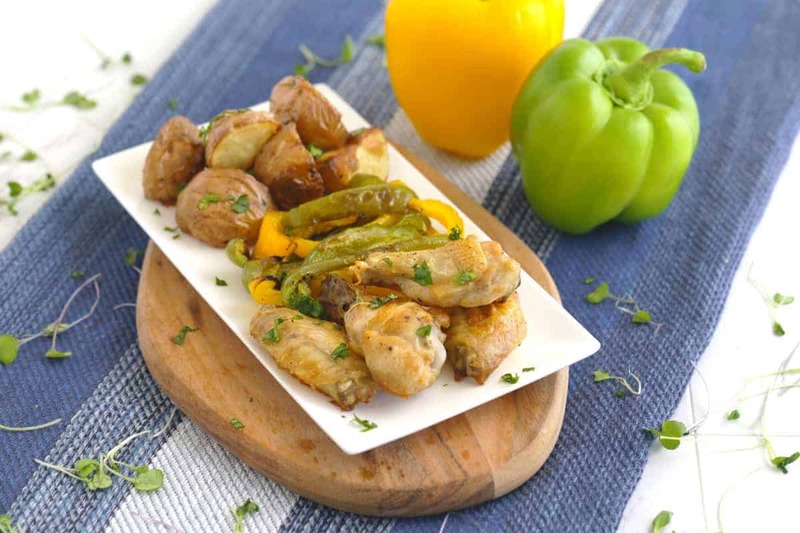 But, with these one pan baked chicken wings that you can make at home, you can enjoy all of the yumminess without the guilt! Tossed in a bit of oil, salt, and pepper, these simple wings are simply scrumptious. Pair them with roasted veggies for a nutritious and balanced meal—perfect for a busy weeknight dinner. 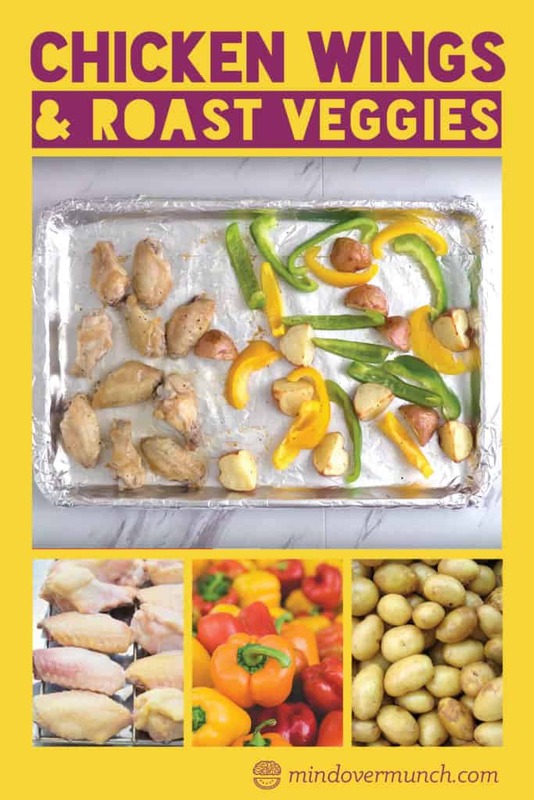 And, you can toss your one pan baked chicken wings and veggies into the oven together! 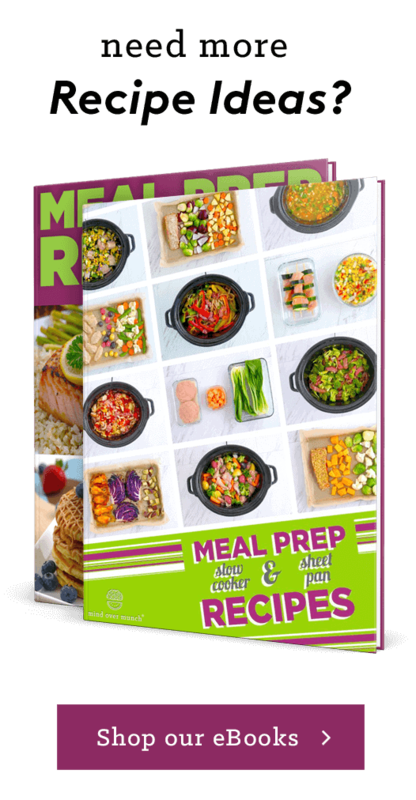 An easy-yet-delicious one pan dinner that you can make with just 3 main ingredients?? Hard to beat! Totally nutritious, scrumptiously satisfying, and leaves you with fewer dirty dishes to wash. Win-win-win! Spray a baking sheet lined with parchment. Add wings, drizzle with oil, and sprinkle with salt and pepper. Add potatoes to pan and toss with olive oil, salt, and pepper. Remove baking sheet from oven. In a mixing bowl, toss bell pepper slices with olive oil, salt, and pepper. 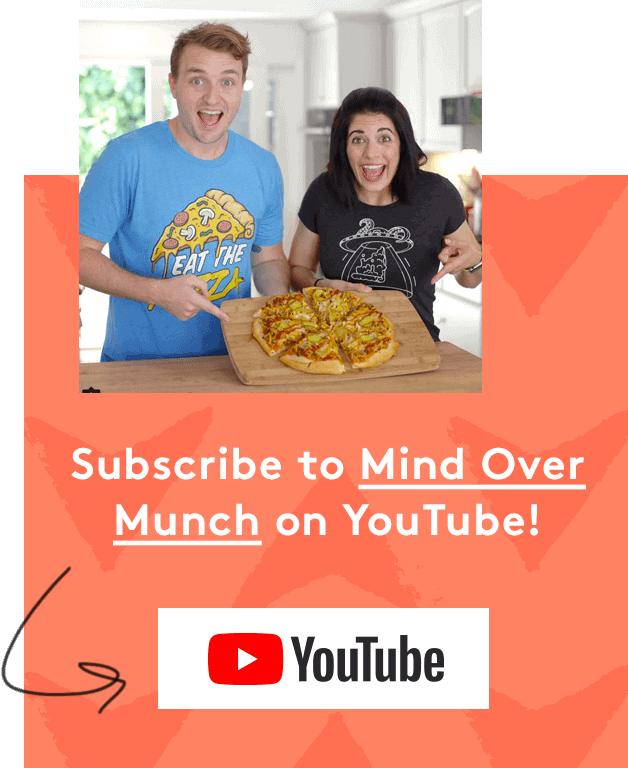 Add to baking sheet and return to oven. Roast for another 10-15 minutes. 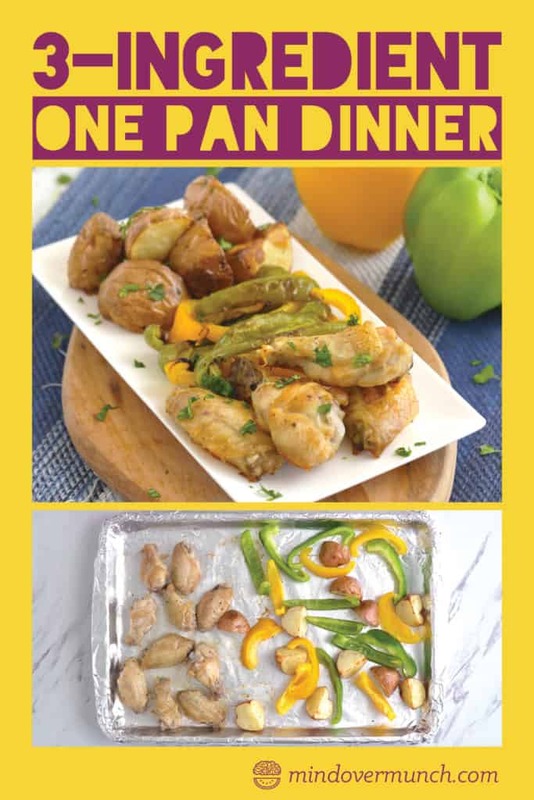 *Nutrition provided for one pan baked chicken wings and veggies, split into 4 servings.